Yesterday I was asked about a television report made by Belgian television program Terzake, in which they followed the Belgian bishops Luc Van Looy and Johan Bonny at the Synod of Bishops. The full video, which is in Dutch, can be viewed here. While most of the program reveals nothing we did not already know, with comments about the process needing to go forward and there not being any winners or losers at a Synod, there are a few problematic moments in it. First there is the small talk between Fr. Dirk Smet, rector of the Belgian College, and Cardinal Gerald Lacroix, where the latter asks about Fr. Smet’s microphone and if he is recording the conversation. Fr. Smet blatantly lies that he is not. While that is nothing more than rather deceitful, other statements in the program are more than that. 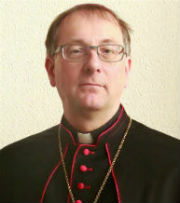 Being asked if the expectations of the Synod are too high, editor Emmanuel Van Lierde of weekly Tertio answers that it is difficult for the Pope to enforce anything, “as there is that conservative group, [including] Cardinal Gerhard Müller of the Congregation for the Doctrine of the Faith, who before the Synod already threatened with a possible rupture in the Church…” That is a blatant untruth, and frames Cardinal Müller for something he has never said. The cardinal has warned that changing Church doctrine could lead to a schism, but that is not the same as him threatening that he would be breaking away from the Church if the Pope proceeded to quickly or forcefully. Cardinal Müller, or any of the more conservative Synod fathers for that matter, is not a schismatic. Later on in the report, Bishop Bonny comments on his being a part of the French language group led by Cardinal Sarah, saying that the presence of many conservative African Synod fathers is something of a hindrance to him. “They always speak from the African standpoint about what we are experiencing here [in western Europe]”. Homosexuality, he explained, was for example not a topic that could be discussed.This brings to mind the comments of Cardinal Kasper last year, when he said that the Africans should not try and dictate what we in the west should do. It’s a rather colonial mindset, to want to listen only to what African Synod fathers are saying when it suits our western mindset. It can hardly be called synodality. Maybe Bishop Bonny could have been a bit more open and do what he expect others to do when he presents his thoughts: listen, think and not immediately assume that others are wrong and he is right. In an exclusive interview for Belgian weekly Tertio, Cardinal Lorenzo Baldisseri, the Secretary General of the Synod of Bishops, says it’s time for the Church to change her attitude to marriage and divorce. Or so several media say. Tertio’s website offers two short excerpts from the interview, with the first expressly dealing with the question of remarried divorcees. While it is clear that the answer presented is not the full answer given by Cardinal Baldisseri, it also does not support in any way that he desires a change in Church teaching. Of course, once the full interview is out, this conclusion may prove incorrect, but, as ever, things are likely not as explosive as some would want them to be. In the West many expect more openness on sexual morality, including the attitude towards remarried divorcees. Do you expect there to be any changes? How can a greater balance be reached in the management of the Church, between the Curia and the world Church, between centralisation and local autonomy? As an aside, the above answers are generally what Cardinal Baldisseri said in an interview for Vatican Radio in March. There he also said that what the Synod wants to do is get to know the problems, so solutions may be found. Pastoral care can and must be flexible, if always rooted in the faith of the Church. But pastoral care can only work if those who want to exercise it get to know the people and their situations. Getting to know and understand the questions and problems of people who are divorced and remarried is not the same as condoning their situation, but a first step towards a solution. I expect that is exactly what Cardinal Baldisseri and the Synod of Bishops is trying to do before the Synod starts in autumn. Obsession, but on whose part? So speaks Fr. Jan Wuyts, retired dean of Louvain in Belgium, in an interview for Christian magazine Tertio. And how heartily I disagree with him. The topics he mentions – women priests and the abolishment of celibacy for priests – are the hobby horses of the modernist movements that he seems to represent. The Church as a whole, while admittedly massive and often slow to react, has long since spoken authoritatively on these matters. There is no obsessive occupation, except in the minds of the likes of Fr. Wuyts and for those in the Church who are tasked with explaining, time and again, what the Church has always taught about matters. Blessed John Paul II has stated several times that the Church “does not consider herself authorized to admit women to priestly ordination”. Likewise, the Church has consistently handled the topic of celibacy as a factual and beneficial element of the priesthood. There is obsession in neither issue, except on the part of those who want the Church to change what either can’t be changed, or where there is no good reason to change it at this time. Fr. Wuyts’ words are a reflection on his own words and actions, and not on those of the Church. Posted on February 7, 2013 Categories Catholic Church in BelgiumTags celibacy, father jan wuyts, modernism, pope john paul ii, priesthood, tertio7 Comments on Obsession, but on whose part? 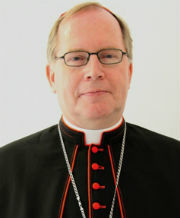 In an interview for Tertio, Cardinal Eijk spoke about a future new and more accurate translation of the Mass texts. Preciously little has been revealed about this project, which apparently is still ongoing. It’s good to now have some new information about the effort, even though the instruction calling for a revision of the existing texts dates from 2001. In the mixed committee for the new translation, Bishops Hans van den Hende, Antoon Hurkmans, Jozef De Kesel and Johan Bonny have a seat. But, now that the liturgy portfolio within the Dutch Bishops’ Conference has gone from Bishop Hurkmans to Bishop Liesen, the latter could conceivably take a seat in the committee. The disobedient actions of priests in Austria (there most visibly, but similar feelings are also present among clergy in other countries), who call for married priests, ordination of women and lay people ‘celebrating’ the Eucharist (a sheer impossibility, equal to, say, having fish wait tables), has also spread to Belgium. From the Diocese of Bruges, to be exact. 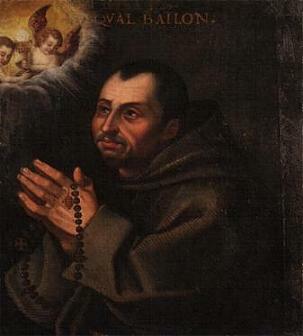 A manifest titled “Faithful have their say” (‘Gelovigen nemen het woord’) has by now been signed by several hundred people, among them 155 priests. The full text, along with the names of the priests who signed it, is available, in Dutch, here. The manifest itself expresses the concerns of its author(s) in the form of propositions to which they want answers (provided, I fear, that these answers suit their agenda). The problem that, they say, needs solving is the existence of parishes without priests, Masses on unsuitable hours and prayer services without Communion. While this ‘problem’ in itself already showcases the serious lack of understanding of such things as Holy Orders, the sacraments and the nature of Communion (the latter being not a right of ours), the proposed solutions, presented in the form of aforementioned propositions, are equally untenable. Let’s go over the propositions one by one, and analyse them. It may seem that I am a bit strict in my definitions of the ‘rules’, so to speak, but for clarity’s sake, I think it’s good to present things as bare-bones as possible. That does not mean that exceptions and adaptations are not possible, but these do not change the rules, of course. We do not understand why the leadership of our local communities (such as parishes) is not entrusted to a man or woman, married or unmarried, professional or volunteer, who received the necessary formation. The innate nature of the priest is to be a shepherd, in name of the local bishop, of a set group of faithful. This is not just a purely administrative task or a job description given to a man in a clerical collar. Just like Jesus appointed twelve men (specifically men) to lead the developing Church, and gave them the means and abilities to do so because of their faith, so He still appoints men to do so. These men are ordained to be shepherds and to administer the sacraments. That is a core element of our faith and understanding of how God works among His people. The priests, once they are sent to a group of faithful to be their shepherd in the faith, do that 24-7. It’s not a job, so it’s not a question of being a volunteer or a professional. It goes beyond that: through his ordination, a priest is a priest forever. After all, ordination is a sacrament, and a sacrament is forever. It goes without saying that a priest must be an example to the faithful: he needs to practice what he preaches, so to speak. The Latin Church today asks her priests to be celibate, in order to fully devote their life to the Lord and His Church. There are exceptions, such as married Anglican clergy who convert and are later ordained as Catholic priests. But these are exceptions, which change nothing about the rule. In short, The Church established by Christ had a structure, a hierarchy, which she maintains to this day. That means that it is not a matter of simple appointing someone who was ‘formed properly’ to do the work of a priest, who is specifically tasked to lead an educate. Of course, there are such things as parish councils, but these work with the priests and do not, can not, replace him. We need dedicated shepherds. We do not understand why these fellow faithful cannot lead Sunday services. As already touched upon in the previous answer, a layman or -woman is unable to administer the sacraments. It really is as simple as that. God has chosen to work to specific people when it comes to the sacraments, thus providing structure and certainty. A layman can obviously lead a prayer service – any faithful can pray. He can also read from the Bible and speak about the faith. He can not consecrate or hear confession. In every living community we need liturgical leaders. We do not understand why – when there is no priest – a service of Word and Communion is not allowed.As far as I understand, this is allowed. But care must be taken that such services remain the exception and do not become the rule. The heart of our faith is the Eucharist: God who became man and saved us through His death and Resurrection. Because of this importance, the Church asks us to attend the Eucharist every Sunday and Holy Day of Obligation. A service of Word and Communion, despite the value of the Word and of receiving the Lord, does not fulfill this obligation. To pretend it does, is depriving the faithful of a valuable treasure. We do not understand why skilled laypeople and formed religious educators can not preach. We need the Word of God. We do. And we get it, every time we read our Bibles. But the context of the Mass is not the same as us reading our Bible at home. In the Mass, Christ is present: in the people, but certainly also in the priest and most of all in the Blessed Sacrament once consecrated. We hear the Word of God in the readings, after which the priest exercises his shepherdly duties of interpretation, education and encouragement. In essence, because the priest is the alter Christus during the Mass, we hear Christ speak to us. A priest is formed and ordained to be able to do this. A priest can not sit back and let someone else discourse about hat he has just read. That would be negligent and deceptive, and possibly simply lazy. We do not understand why faithful of good will who remarried after a divorce have to be denied Communion. They are equally part of the community. True, but Communion is not a matter of being a community together. It is about being in communion with Christ. In Christ, we form a community. We cannot be a Christian community without Him. Marriage is a sacrament, and as I said above, sacraments are forever. The Church can’t pretend this is otherwise, and therefore can’t allow divorce or remarriage. This doesn’t change of people divorce and remarry all the same. From the position of the Church it is a pretense. This creates a barrier between the people involved and the community of faithful-in-Christ, the Church. The demand Communion anyway is to pretend there is no such barrier. We plead that, as soon as possible, both married men and woman are allowed to the priesthood. We, faithful, desperately need them. The necessity of priests is not in questions, but altering their identity, or pretending such identity exists, is not the answer. We would be lying to ourselves. As I wrote above, the nature of the priesthood is such that only men are called to it. It is the law of the Church that these men can best fulfill there priestly duties if they remain unmarried and celibate. And besides, the bishops of Belgium, or of any country, can’t change this, since the nature of the priesthood is not a local thing. It’s universal. Questions about such matters are only understandable, and should be encouraged. Through questions we arrive at understanding, after all. But we must not stop at questioning others, but we must also question our motives when we want to change these things. Do I consider myself above the community, above the Church, above God? Our do I see myself as one who needs God and the community? The priests who signed this manifest, however… Were these men not educated in seminary? Have they no idea of what they received at their ordination? Do they not know what their duties are to the people and the Church? Are they, I must wonder, their own little bishops and popes? Belgian weekly Tertio has polled the various dioceses in the Netherlands (and Flanders) about the number of ordinations taking place this year. After thirteen ordinations to the priesthood in 2010, this year the number drops to a mere six. Also unlike last year, the ordinations are spread out more over the year. Two of them have already taken place: Fr. Karel Donders was ordained in Utrecht on 14 May, and Fr. 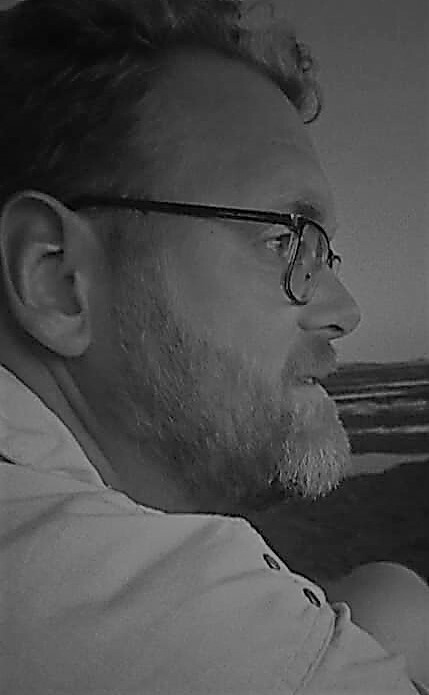 Tjitze Tjepkema followed in Groningen on 21 May. The four remaining priestly ordinations will take place on 18 June for Maciej Sendecki (Haarlem-Amsterdam) and Eugène Dassen (Roermond), and 29 October for Pascal Huiting and Maurits Damsté (both Groningen-Leeuwarden). A final unusual element is the fact that Groningen-Leeuwarden, the diocese with the smallest number of Catholic faithful, provides half of this year’s harvest. In addition to the six ordinations to the priesthood, there will also be ordinations to the diaconate, both permanent and transitional: seven in Haarlem-Amsterdam (four permanent, three transitional), two in ‘s Hertogenbosch (both transitional) and four in Roermond (all transitional). The class of 2012 will then number at least nine and hopefully herald a renewed increase over the following years. Wise words from Fr. Filip Noël, a Norbertine at Averbode Abbey in Belgium. Celibacy is often seen, both inside and outside the Church as something that is forced upon priests. But I am certain that a celibate life is doomed to failure if it is not the choice of the priest in question. A good formation during the years in seminary is vital, since celibacy is not a magic cure that will prevent the priest from ever falling in love or succumbing to temptation. No, a priest always remains fully human, of course. The key to celibacy is not avoiding these very human desires and urges, but learning how to integrate them in your priestly life. There are no guarantees of success, but it is a vital part of the priestly identity. The priesthood is not a nine-to-five job which you can step out of at the end of the working day. No, during ordination, the very identity of the priest is changed. No longer is he just a man among other people: he is now a priest for them, while at the same a Christian with them, to paraphrase St. Augustine. He is called to act in persona Christi during the liturgy and the ministering of the sacraments. It is something that changes every element of his life. Besides a sacrifice given freely and willingly to God, celibacy can be an aid in living that life, confirming the priestly identity as being different from that of other men. In my opinion, Fr. Noël reduces celibacy to a simplistic balance between advantages and disadvantages. There is no doubt that, in theory, married priests can function just as well as priests who are celibate. Does that mean that celibacy has lost its value? Of course not. Celibacy is not a dogma, it is not a deciding factor of the Catholic faith. Over the centuries it has grown out of necessity, only then revealing its nature as a sacrifice and a means to show a priest’s dedication to the Church of Christ. Simply saying that non-celibate priests also function well is a negative comparison; it looks at the characteristics that celibacy does not have to say something about what it is. It would be better to do the same comparison based on the characteristics that celibacy does have: not saying what celibacy deprives priests of, but what it adds. Luckily, Fr. Noël is aware of the downsides of the non-celibate life: “The Protestant tradition has done away with all forms of religious life. But when the clergy consists almost totally out of married men, like in the Anglican church, there is a risk of ‘standardisation’. The radicality expressed in celibate life, may work as a correction of the standardisation of the Church.” The Church does not belong to the world, after all (cf. John 17, 16). Father Noël further talks about the problems of celibacy for seminarians. He say that he has seen many seminarians and young priests leave because of the problems they had with celibacy. I wonder if that is truly due to the nature of celibacy or to the formation and education they receive? Celibacy is a free choice, but in order to make that free choice, a future priest must be fully aware of what he chooses. A thorough formation and education is vital for that. And then, if a man decides that celibacy is not for him, we can’t say that celibacy is intrinsically flawed. The only conclusion we can draw from that is that the person in question is not called to a celibate life. We can’t even say that the priesthood is not for him.